An aggressive service-oriented rep firm that covers the Pro Audio/Video, Sound/Lighting Contractor and Musical Instrument markets. JMS Marketing has been re-branded as Anderson Sales and Marketing. The good news is that everything is pretty much still the same and we look forward to working with you as Anderson Sales and Marketing. 214-447-9083 or toll free at 844-746-6611 - Have a great day! Take your creativity to another level in the booth, the studio and on stage with the TORAIZ SP-16 sampler and step sequencer. The tactile sampler features an intuitive touch screen and layout, 16 powerful sampler engines, analogue filters based on Dave Smith Instruments’ Prophet-6 synthesiser and quantize via Pro DJ Link. And you can use it as a stand-alone unit – no need to take a laptop into the booth. With the M-32 AD and M-32 DA, RME presented two independent 32-channel converters in 2010, which quickly became the industry standard thanks to their high quality, reliability and number of channels. Since then, not only the converter technology but also the requirements of pro audio users have evolved in all kinds of areas - professional studios, immersive sound installations, live sound systems and even applications in the industrial sector requiring high analogue channel counts. The J3 is the latest member of the "Jericho Horn"product line and is fully "array-able". The J3 Utilizes six 15" drivers, eight- 6" mid range drivers and four 1.4" high frequency drivers. the J3 doesn't exhibit the common phenomenon known as pattern flip due its physical size and horn dimensions. The Pedal Baby 100 is a 100W Class A/B power amplifier, designed for the touring musician. 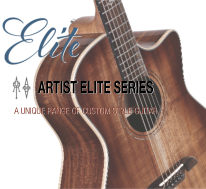 Neutral-sounding but still flattering, it’s perfect for guitarists running pedal boards, modellers or digital processors. 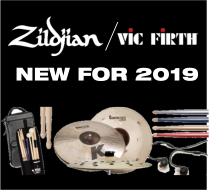 Light, compact and built for the road; fly dates and changing venues are all taken in its stride. Dean Guitars is a musician-owned and operated company. 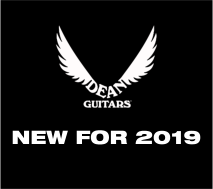 The Dean Guitars staff is comprised of hard-working, knowledgeable musicians who demand excellence in the instruments they design, build and play. 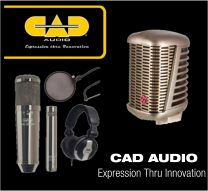 CAD Audio originally took shape as the Astatic Corporation in 1931, founded by C.M. Chorpening and F.H. Woodworth, two ham radio operators who needed a static-free microphone for their transmitters. They worked with local engineers to develop the company’s first crystal radio microphone, the model D-104. 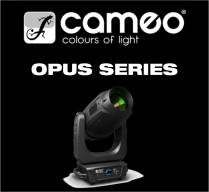 Cameo’s premium series Opus moving heads deliver an endless spectrum of intense saturated colours, subtle pastel hues and white tones. These top-flight spot and profile spot moving lights are packed with features including 4-blade framing systems, rotating and static gobo wheels, circular and linear prisms or bi-directional animation wheels.